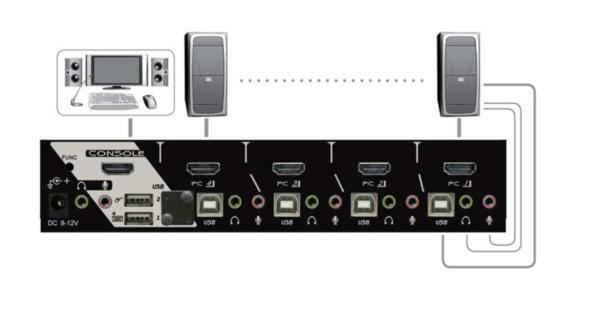 The 4-Port HDMI KVM Switch series, fully compatible with USB specification, are the combination of USB KVM (keyboard / Video/ mouse) switch.4 HDMI/USB/Audio switch. 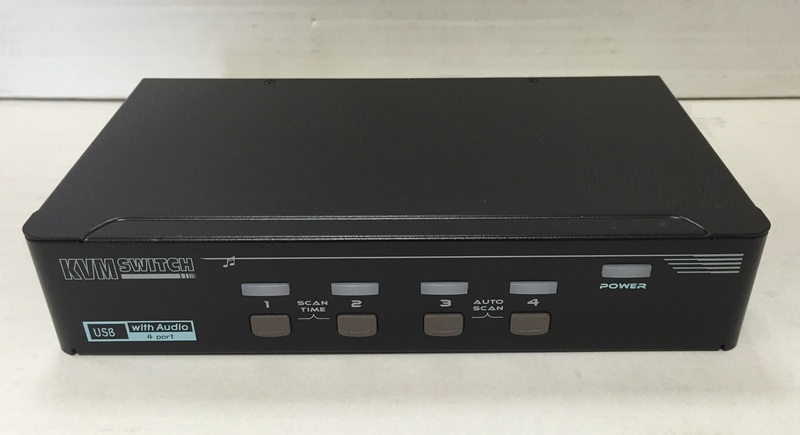 The 4-Port KVM Switch, fully compatible with USB specification, are the combination of USB KVM (keyboard / Video/ mouse) switch . You can easily operate up to 4 PCs, G3/G4 Macs, or Mac Pros respectively from a single set of USB keyboard, USB mouse, and monitor saving you space, time, equipment and money. The MAAG series support the audio function. Users can switch among 2/4 media sources and enjoy the output on one display and one set of Speakers + MIC. Installation is as easy as connecting USB A-B cables between computers and the 2/4-Port KVM Switch series. Computer selecting is as easy as pressing the front panel button or using Hotkey control. It simply reduces redundant cables and encourages a neat and tidy working environment. MAAG series provide a set of audio connectors (Audio Jack) on the console side to accommodate an independent audio I/O application.